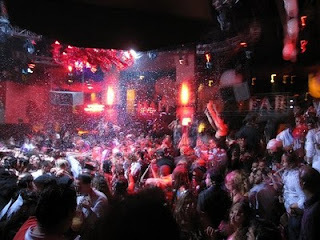 While many of my best Las Vegas memories are shared with friends who have sinced moved onto less meaningful endeavors, like marriage, career advancement, home ownership, art & culture, and the ability to read - I have continued to party like I'm 21. In the 10 years since, I have never once accepted responsibility or an 8am wakeup call. My new friends just continue to get younger, which is in no way sad, pathetic, or depressing. The good thing about my friends getting younger, is that I can continue to tax my body with painful amounts of alcohol in an attempt to fit in. It's like Tina Turner getting a blood transfusion from the young to defy the laws of aging. And I can't begin to tell you how much I like Miley Cyrus and The Jonas Brothers! Like O-M-G! See? It's working! While having deep meaningful conversation with a taxi driver, I calculated the amount of times I've been to Vegas in my life and I came up with over 40. That is pretty impressive. Allow myself to applaud.... myself. I have been to many clubs in my life, half of which I have been kicked out of. Now, I will pass along to you the hottest clubs of 2010 and which ones have the strongest bouncers. While nightclubs typically have a limited lifeline with the premium female talent of the world, clubs that were once dear to me, like Rum Jungle and Rain, now cater to the trash of middle-America. It's still clientele, but these guys aren't tearing up the bars with a drink tab. They can barely afford it. By my calculations, clubs have about a 2 year lifeline before a new club replaces it. 3. LAVO - Lavo is actually not one of my favorites, but if it's hot women you're looking for, there was an abundance who came through the doors here. 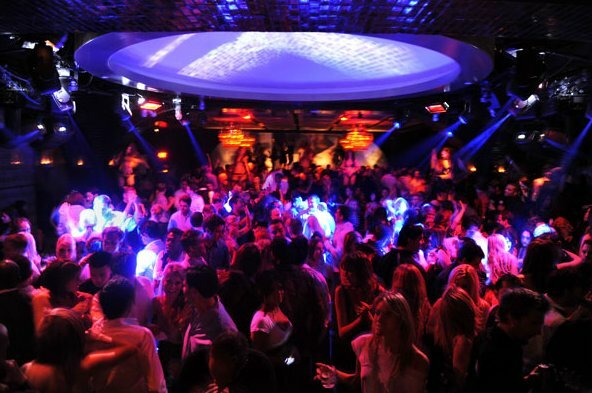 The problem with Lavo is the venue. It's smaller, which isn't a bad thing, but when you let in a lot of ugly, older people, who are wearing t-shirts, they tend to stand around on the VERY small dance floor. Most of the hot women would come for a bit and leave. My guess is that most of those people probably bypassed the strict rigors of the bouncers by having dinner at Lavo first. I don't think attractive people will be coming here when 2011 rolls around. If you do go, try and talk to some ladies and latch on as they make their way somewhere else. Lavo is located inside the Palazzo at the Venetian. 4. PURE - Pure is a beautiful venue, but it's been around for awhile, which means that the clientele is rapidly declining in quality. 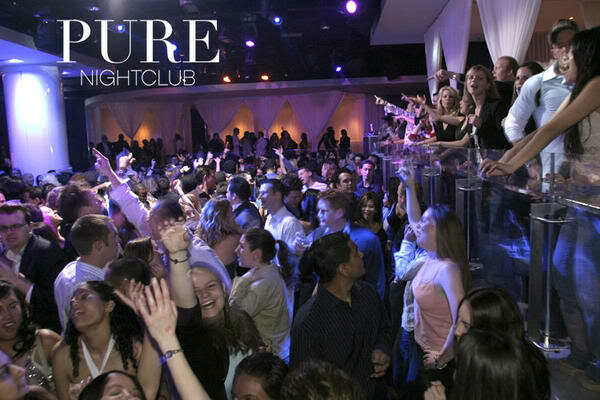 One of the best parts about Pure is the upstairs area that overlooks the strip. Pure is also the site of one of my infamous incidents. Pure is located at Ceasar's Palace, and no, the real Ceasar did not live there. Pure has a dance floor downstairs up on the terrace, so you can dance the night away with a backdrop of the city lights. 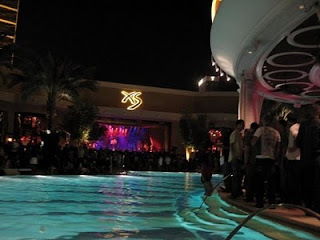 Honorable Mentions: Tryst at Wynn, LAX at Luxor, JET at Mirage, and Moon at The Palms. Hey, but it's all really about your personal taste. One man's trash, is another's treasure. So whether your girl is wearing Dolce & Gabbana or Forever 21 - I really don't think it matters. The more you drink, the less things matter and the better looking everyone becomes! Including me - so drink up! I think I have two more trips scheduled this year, so happy trails and if you're a lady, I could be your trash any day. Or treasure, but I doubt it. I'm not even my mom's treasure. I dont wear Ed Hardy but I do tread the line of douchebagery! Thanks for supporting douchebags anonymous homie, it was an awesome weekend! And ty for the tips on where to party. And PS Miley, check. Jonas brothers, really. Really? ?